Everyone loves a giveaway, so how about 80? In honor of the upcoming launch of my new blogger outreach software, NinjaOutreach, I decided to organize a giveaway. 43 companies have generously provided 82 prizes valued at over $15k! The giveaway runs from October 16th to the 30th, after which the winners will be selected and notified. Confirm your entrance via email, in which you receive a unique referral URL, which you can share to improve your odds. About: When it comes to buying small businesses, Ace Chapman has unparalleled credentials. Over the past 13 years, he has used his one-of-a-kind methods to buy and sell 14 businesses--and now, for the first time, he describes his formula to help you leverage his strategy. About: We're building software that helps you overcome our common human frailties, to achieve whatever it is you want to do in the world. ActiveInbox is the first step of that journey: it sees emails as a flow of tasks running between you, your colleagues and every knowledge worker in the world, and therefore transforms Gmail into a task manager to help you take control. About: AdEspresso makes Facebook Advertising easy and profitable for small and medium businesses. Whether you want to sell more products, grow your fan base, or increase engagement with your community, AdEspresso will help you create and optimize an advertising campaign that truly works! Prize: a 30% discount for 6 months. About: Website owners can instantly monetize their email newsletter opt-ins and sign up paths. Email list owners can instantly add qualified, targeted subscribers and prospects for a great price. Prize: Advertising credit for 250 subscribers for the winner's email list. About: Ahref is the world's largest index of live backlinks and the constant go-to backlink analysis tool for SEO professionals. Building their own crawler that indexes billions of pages daily, Ahrefs proprietary technology allows their index to update databases with fresh backlinks found on the web every 15 minutes, covering all TLDs, and capturing over 700 billion unique external backlinks as of today. Using Ahrefs tools, website evaluation and competitor analysis is easier than ever. Prize: 100% OFF first month purchase of Ahrefs Professional subscription plan ( same as mentioned above, from 2nd month onwards, you need to pay at usual price of $79/ month) 10 redemption codes to be issued for SelfMadeBusinessman to give away. About: Anti-Social is an incredibly simple and effective productivity tool, used by hundreds of thousands of people worldwide to enhance their productivity. Anti-Social does one thing: it locks your computer away from social sites. When Anti-Social is running, the only way to get around the block is to reboot your computer. Let's face it, our friends are distracting. The endless streams of Facebook posts and Tweets compete for our attention, robbing us of productivity. Being productive is essential for your work, your bottom line, and your self-esteem. With Anti-Social, you’ll be amazed how much you get done when you turn off your friends. About: Hot Apps Factory is a mobile software company specialized in the preproduction process of making beautiful iPhone and iPad applications. Standing on cutting edge knowledge of the latest technology in use inside iOS, we deliver a professional expertise in conception, design, development and maintenance of your mobile solutions. About: A collection of reviews and star rating plugins for WordPress. Add Rich Snippets markups for reviews and ratings. About: Jon is an expert at showing busy people how to create and promote an authority site in a stupidly competitive niche and runs a powerful PBN - Lightning Rank. About: Balsamiq Mockups is a small graphical tool to sketch out user interfaces, for websites and web / desktop / mobile applications. We focus on the ideation phase, providing you with a clean tool that lets you get in the flow and stay focused on structure rather than colors and icons. Mockups provides enough interactivity to replace prototypes most of the time, and makes it easy to collaborate and get feedback on your wireframes. Mockups is sold as a Desktop application, a web application and as a plugin to different wikis and bug trackers (compare all versions). About: Create professional client proposals in minutes. Easily mix and match content, fees, and designs to create persuasive proposals in minutes. Get your proposals signed faster by capturing client signatures online when they approve. Alternatively, proposals can be exported to PDF. About: Zac Johnson has generated millions of dollars online and now he wants to help you do the same, with his community Blogging.org, where he introduces you to featured experts and a private community to teach you how to be a better blogger and online marketer. About: Design shouldn't be hard but somewhere along the way we became bogged down with expensive, complicated software that put design out of reach for most people. Canva is here to change that, with a tool that makes design simple for everyone. Canva gives you everything you need to easily turn ideas into stunning designs. Create designs for Web or print: blog graphics, presentations, Facebook covers, flyers, posters, invitations and so much more. 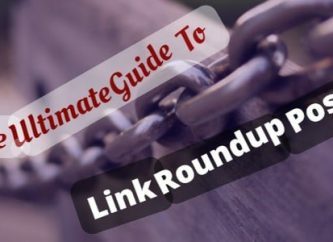 About: The Clound Income blog brings a no BS approach to online business, SEO and internet marketing. 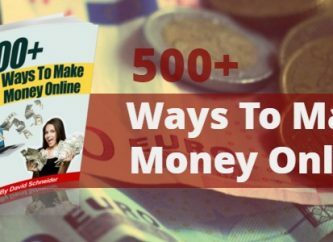 With various case studies, guides and reviews to help get your online business started and turning a profit. Lewis Ogden is the owner of several SEO businesses and products. About: CoSchedule is a drag-and-drop editorial calendar for WordPress. Schedule blog posts with your team and automatically send messages to your social networks. About: Contactually: Like a CRM… only better. Contactually is a contact and relationship manager that helps you stay in touch with the right people at the right time. It gives you many of the benefits of a traditional CRM system (contact organization, conversation history, and even sales tracking & automation) without the high cost, learning curve, or complexity. Your everyday network is more valuable than you probably realize. Using Contactually is a fun, easy way to get the most from it without having to change the way you work. About: Through Crazy Egg's heat map and scroll map reports you can get an understanding of how your visitors engage with your website so you can boost. Prize: 1 free lifetime account and 90 day free trial to all who enter the giveaway. Click on the link above to sign up for your 90 day free trial. About: Fatcat Apps focuses on WordPress plugins that help marketers & entrepreneurs boost conversions. Fatcat Apps has released Easy Pricing Tables (54k+ downloads on WordPress.org), EDD-Drip and Easy Opt-ins so far. They’re currently a team of three. About: At Empire Flippers, we remove friction from buying and selling websites. For sellers, we ensure a profitable sale and an easy process. By weeding out the tire kickers, highlighting your website in front of thousands of buyers, and transferring the site to your new buyer, we save you weeks or months of time and get you money. About: FollowUp was the solution to an entrepreneur's emailing grievances. Their software allows you to quickly schedule tasks and reminders right inside your email. Easily schedule followups with hot leads, and schedule reminders at the office, on the run, or at your earliest convienence. FollowUp.cc works with all email applications on any device. About: See how visitors are really using your Website. Hotjar Insights is a new and easy way to truly understand your web and mobile site visitors. Now you can improve your site UX and conversion rates by using Heatmaps, Session Playback, Proactive Chat, Polls, Funnel Analysis, Polls and Surveys. all in one central interface. About: Unlimited super-fast, top-ranking content. Dozens of detailed tutorials. A lifetime license at an INSANE discount; All future major upgrades for free. About: Long Tail Pro is a powerful keyword research software created by Spencer Hawes at NichePursuits. Long Tail Pro allows he user to generate hundreds or thousands of unique “Long Tail” keywords in a matter of minutes based on 1 single root keyword or multiple root keywords at once. Long Tail Pro allows you to generate much more than 800 keywords using the data from the Google keyword tool. 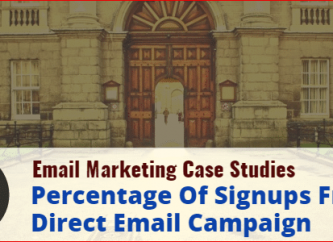 About: MailerLite is the simplest email marketing tool for small business. Forget complex settings and unnecessary features. MailerLite is so easy, that anyone can create and send beautiful email newsletters, manage subscribers and track results. Just type in a subject and a sender, and use the web-apps drag and drop functionality to design the newsletter you'd like to send out. Upload your company logo to create a custom header, select the background colours and formatting that fits the overall look you're trying to convey. Select subscribers and click send. Prize: Free Plan A - unlimited newsletters for up to 10 000 unique subscribers for the whole year. About: With the introduction of Apple’s App Store in 2008, Mariner began writing mobile versions of MacJournal, Mariner Calc and Contour. Mariner Software is committed to the iOS platform and continues to develop some of the existing line in the future. Headquartered in Minneapolis, Minnesota and the fulfillment and production services office in Pittsburgh, Pennsylvania, Mariner Software will celebrate 24 years of business in 2014. About: The Mastery is an online community for entrepreneurs focused on finding mastermind groups. Traditional online communities tend to be overpriced and under featured and they fail at establishing the necessary user connections to build a sustainable community and maintain engagement. 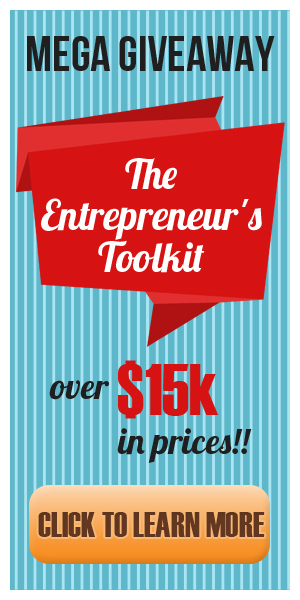 The Mastery is geared towards building support groups for new entrepreneurs. About: How will you find the time to learn about project management principles if you don’t have a background in project management? Instead of digging through dozens of project management books, sorting through the many blogs that are publishing the same strategies over and over again, Doug has distilled down years of experience as a project manager (PM), research from dozens of sources online, and case studies into actionable tips that you can start benefiting from immediately! About: Need to hire a high quality, dependable, and motivated developer for your next web app project? Moving from an older technology to Ruby on Rails? Do you spend hours to find that key member of your team just to have them not work out? We’re here to help. We save you the time and headache of searching for a trusted developer so that you can focus on growing your business. About: OptinMonster is the best lead-generation plugin for WordPress that allows you to create attention grabbing optin forms that convert. About: Power Suggest Pro is a brand new keyword and market research software (to be released in Oct 2014) that leverages on the auto-suggestions of multiple search engines to reveal millions of popular search phrases people are typing into search engines every day. This powerful yet simple-to-use tool enables entrepreneurs and online marketers to quickly identify missed business opportunities, find untapped niches, uncover low-competition long tail keywords and understand exactly what customers are actively looking for in any market or niche. About: SaneBox automatically filters unimportant emails from your Inbox into a separate folder and summarizes them in a digest. Best of all, SaneBox works on any client, service or device! SaneAttachments, unlimited customized folders + all standard Sane folders) "
About: Sean from VisibleHQ.com is giving away a spot in his next Private Blog Network Masterclass. In this four week class you will watch as Sean creates a private blog network. You'll get to see every aspect of creating a network, from domain research to the best way to add links. Find out why none of his were penalized in the recent PBN Update. Ask any specific questions you have in our weekly 1 hour call. Class will be held on Tuesday evenings, at 8:00 p.m. (EST) on Skype. For anyone interested in this class who was not selected for the free spot, you can grab a spot in the next class for just $249. That's 20% off! There are only 5 spots available per class, and 1 of those spots is reserved for the winner. About: OnePress is a small team of developers which specialized at creating user-friendly and modern WordPress plugins for business and marketing. Social Locker is the most popular content-locking plugin for WordPress with attention-grabbing styles and advanced analytics. The plugin helps increase social media presence by asking visitors ""to pay"" for your content with a tweet, plus one, or a like. Prize: 3 Business Licenses To Social Locker for WordPress, which allows you to install the plugin on 3 websites and includes all the available add-ons. About: Best Free Spinner is dedicated to providing the best spinning software at the greatest value to all users. We understand high quality content is important for every user and business to meet their demands and marketing needs. We know what it takes to provide a powerful, yet simple to use software to give users the ability to quickly create content they need without high costs or complicated settings. 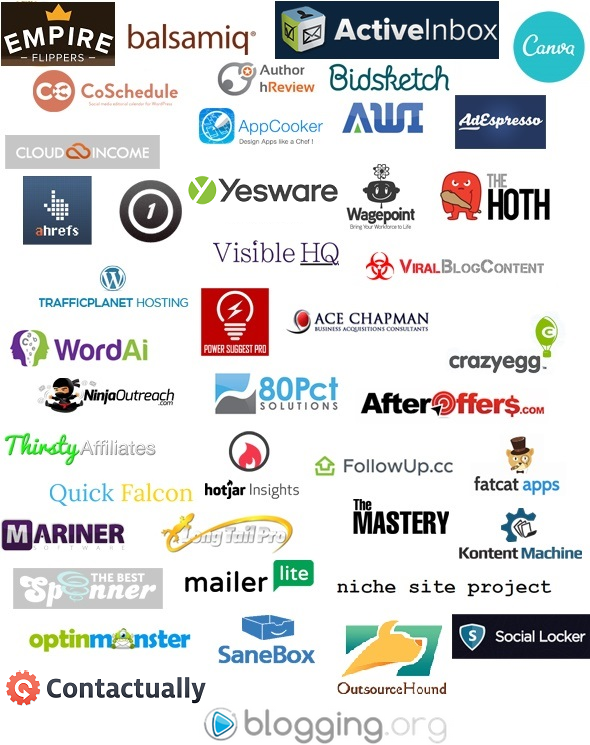 About: The HOTH is a white label SEO service for agencies, consultants, and affiliates. Our products include The HOTH (Viral Link Building), HOTH Local (Local Citation Building & Cleanup), & HOTH Blitz (High DA Authority Links.) all backed by fanatical 100% U.S. Based Support. About: Earn more with affiliate marketing using ThirstyAffiliates – the professional affiliate link management & link cloaking tool for affiliates. ThirstyAffiliates empowers website owners with the tools they need to monetize their WordPress website with affiliate marketing. It lets you administer your affiliate links, assists you with inserting them into your posts, pages and comments and gives you a central location in WordPress to manage all of your affiliate links. About: Traffic Planet Hosting is extremely fast hosting at an affordable price. About: Brandon created ViralBlogContent to give online business owners struggling with inbound marketing a fighting chance. His blog writing services are top notch. Prize: heavily-researched 1,000 word article personalized to the niche, and topic of the winner's choosing. About: Wagepoint is simple, fast and friendly online payroll software for small businesses. Priced at a simple plan of ($15 base fee + $2 per employee) per payroll, you can get direct deposits, federal, state and local tax reporting, W-2s / 1099s for your employees and contractors. Just for now, you can get all this payroll awesomeness for an amazing 50% for the first year! About: WordAi is an article spinner that understands text just like a human does. It completely rewrites sentences, and provides human readable and completely unique. About: Yesware is an email productivity platform that helps salespeople work more effectively, right from their inbox. Track emails, create templates, CRM sync, and more. Yesware helps you close more deals faster. Easy - just click here. You must be 21 or older at the time of entry, and can NOT be a resident of some specific countries (on account of their sweepstakes rules). You may only submit one email address, which you must confirm. You agree to allow this email address to be provided to the company of the prize your win (and NOT the others), as well as acknowledge that you will be signing up to the SelfMadeBusinessman and NinjaOutreach newsletters (from which you can unsubscribe, easily). If you are already part of one or both of those newsletter, you still must sign up, it's how we keep track of who is interested. You can earn additional entries through referring people via your unique URL. You can win multiple prizes, but the prizes are determined randomly and they are not transferable. By submitting an entry to the Sweepstakes (the “Sweepstakes”), you acknowledge that you have read and agree to be bound by these Official Rules and the decisions of SelfMadeBusinessman, and that you satisfy all eligibility requirements. The Sweepstakes (“Sweepstakes”) is open to all humans age 21 or older at time of entry. Residents of Taiwan, South Korea, Portugal, Italy, Austria, China, Russia, Hong Kong, Greece, France, Japan, Spain, and Czech Republic are not eligible to enter or win. Employees of SelfMadeBusinessman (the “Sponsor”), its respective parent, subsidiaries, affiliates, advertising and promotion agencies, distributors, merchants involved with this Sweepstakes, and their immediate family members and/or those living in the same household of each are not eligible to enter or win. Sweepstakes governed by United States law. Sweepstakes is subject to all applicable federal, state and local laws and regulations. Void where prohibited by law. No purchase necessary to enter or win. A purchase will not improve your chances of winning. Maximum ARV of all prizes: $16,000. If winner is unable to receive payment then prize will be forfeited, and an alternate winner may be selected in accordance with these Official Rules from among the remaining eligible entries for that prize. Prizes may not be transferred or assigned except by Sponsor. Winners will be selected in a random drawing from all eligible entries received. Random drawing will be conducted on or about October 30, 01:00PM UTC by a representative from the Sponsor whose decisions are final. Winners will be notified by email and/or mail and at the judges’ discretion, will be required to complete and return an email confirmation of prize acceptance and possibly a Affidavit of Eligibility and Liability and a Publicity Release (“Affidavit/Release”) within 7 days of notification, or an alternate winner will be selected. Prize awarded within 30 days after receipt and verification of completed Affidavit/Release or prize notification. If a potential winner cannot be contacted, or if Affidavit/Release is returned as undeliverable or if the selected winner cannot accept or receive the prize for any reason, or he/she is not in compliance with these Official Rules, the prize will be forfeited and may be awarded to an alternate winner. If a winner is otherwise eligible under these Official Rules, but is nevertheless deemed a minor in his or her state of primary residence, the prize will be awarded in the name of winner’s parent or legal guardian who will be required to execute affidavit on minor’s behalf. No substitutions are permitted except if prize is unavailable, in which case a prize of equal or greater value will be awarded. Prize is not redeemable for cash and non-assignable and non-transferable except to a surviving spouse. Winner is responsible for all federal, state, local sales and income taxes. Any other incidental expenses on prize not specified herein are the sole responsibility of winner. Entry and acceptance of prize constitute permission to use winner’s name, prize won, hometown and likeness for online posting and promotional purposes without further compensation, except where prohibited by law. Each individual may only submit one email address entrance. If it is found out that a person has created or leveraged multiple email addresses they will be disqualified from all prizes. Prize is guaranteed to be awarded. If SelfMadeBusinessman goes bankrupt or out of business then the year they go out of business is the last year of payment for the premium service. If SelfMadeBusinessman is acquired or merges, it’s the new owners discretion to keep paying for the premium service. If we go bankrupt or out of business then the last year they are in business will be the payment for the premium service. Cash value of the prize cannot be redeemed. This Sweepstakes shall be governed by and interpreted under the laws of the State of Tennessee, United States. without regard to its conflicts of laws provisions. By participating, entrants agree that any and all disputes arising out of or relating in any way to this Sweepstakes shall be litigated only in courts sitting in Nashville, Tennessee, United States. Sweepstakes is not sponsored, endorsed or administered by any of the participating companies, nor are the participating companies associated with the Sweepstakes in any way. You understand that you are providing information to the Sponsor and not to the participating companies. Any questions, comments or complaints regarding the Sweepstakes must be directed to the Sponsor or Administrator, and not to the participating companies. These terms and conditions are specific to the winner of the Ahrefs prize.